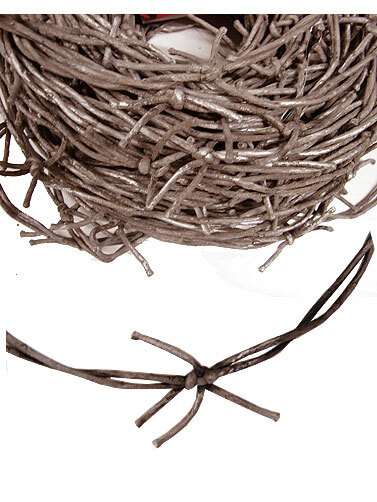 This sharp looking Rusted Barbed Wire Prop is soft and flexible, so it won't hurt if touched. The twisted fiber cording of the fake barbed wire has been painted to give it a rusty look. 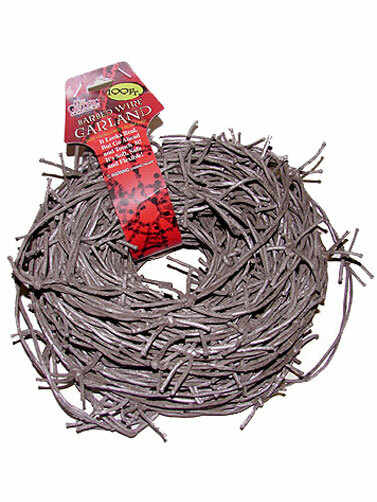 Dafe for outdoor displays, this realistic barbed wire prop is great for separating your Halloween display scenes, keeping trick or treater's on the right path. Bulk quantity, measures 100 feet long.